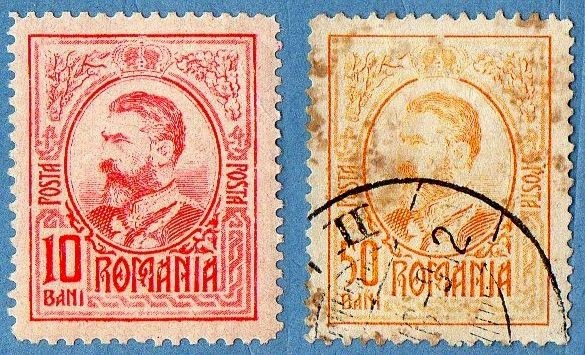 Today I have a post with a small number of words (if compared to the last one...) and many beautiful stamps.. only some remarks about the Definitive series presented.. 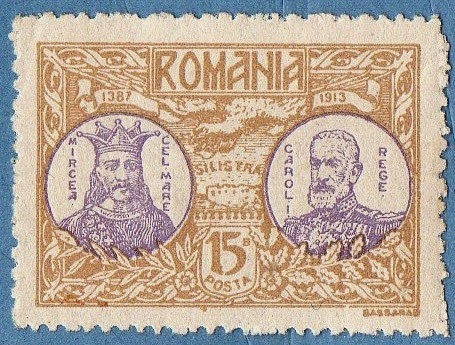 In another earlier post about Romanian Stamps, I talked about the feeling of Caution when we deal with definitive series from the classic and Semi-classical periods..they can be of difficult classification, with many parameters to get our attention ; the only definitive series I show today doesn't present this great diversity ,so it is with greater confidence than last time , that I show my results... the commemorative and Welfare series doesn't present any 'issue' , that I know of..! The Designs of Jean Pompilian are magnificent , the recess Printing is very good and the result is one of the best series of stamps I know ...the series appear here with 11 stamps because it includes the 25b green variety..
Now , one more 1906 series , in this case , a welfare Fund series... curiously the tax applied to these stamps doesn't appear as usual in the stamp itself.. in the next series I I will present , the something happen's.. This tax was for Charitable Purposes.. I will make just a small stop in the conversation about this series , just to say that from my early days as a collector that I adopted a different way of making my notes when classifying perforations.. Every stamp has a smaller size , or in width or in lenght... I always note my stamps , when speaking of perforations, like this..
returning now to our stamps , we have four groups of stamps where I have used my Perf notation as an example..
Ok,there was not so many talk as usual.. the fact that I went to a dinner with some friends last night must not be strange to this... Our mind keep us young but what was natural 20 years ago, has a strange influence in our body's today...and today , 'thinking gives me a headache'..!